Bath to Bristol Airport – The 03:00, 04:00, 05:00, 20:00. 21:00, 22:00 and 23:00 will not serve Keynsham. 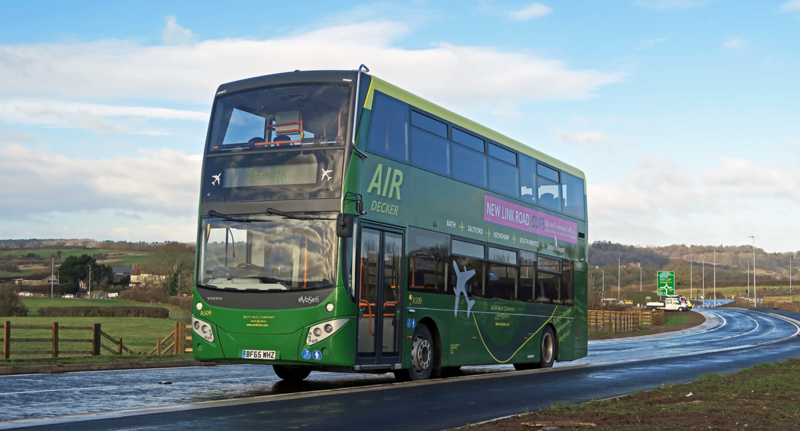 The service will stop at Ellsbridge House and then will divert along Keynsham Bypass, rejoining the normal route from Hicks Gate Roundabout onwards. The 19:30 and 20:30 departures from Bath to Keynsham Church will operate as normal. Bristol Airport to Bath – the 04:00, 05:00, 19:30, 20:00, 21:00, 22:00, 23:00 and 00:00 will not serve Keynsham. From Hicks Gate Roundabout the service will divert along Keynhsam Bypass and resume the normal route from Ellsbridge House onwards. This entry was posted in Uncategorized on June 22, 2018 by Victoria. Bristol Airport – Bath: the 19:30, 20:00. 21:00, 22:00, 23:00, 00:00, 04:00 and 05:00hrs will exit the roundabout and travel along the bypass. The bus will turn back into Keynsham and serve Unity Road, Wellsway, Keynsham Memorial Park, Ashton Way, Keynsham Church and Keynsham High Street. We are unable to serve Keynsham Rugby Club and Keynsham Cemetery. This diversion will add 5-10 minutes on each journey. Isn’t it time you got the wheels rolling on your new job for a different kind of company? We are recruiting for our pool of trainee and qualified bus drivers for possible vacancies in 2018, so the take the wheel of our renowned specialist services which require the very best drivers to operate them! For a detailed job description and how to apply, click here. This entry was posted in Uncategorized on June 15, 2018 by Connor Flavell. This entry was posted in Uncategorized on June 14, 2018 by Victoria. During this time the Air Decker’s will not be able to serve the Hengrove Leisure Park bus stop. Please note the all Air Decker’s going Bristol Airport to Bath will remain unaffected. This entry was posted in Uncategorized on June 5, 2018 by Connor Flavell. Durley Hill Road Closure – 4th – 6th June 2018. This entry was posted in Uncategorized on June 4, 2018 by Victoria.